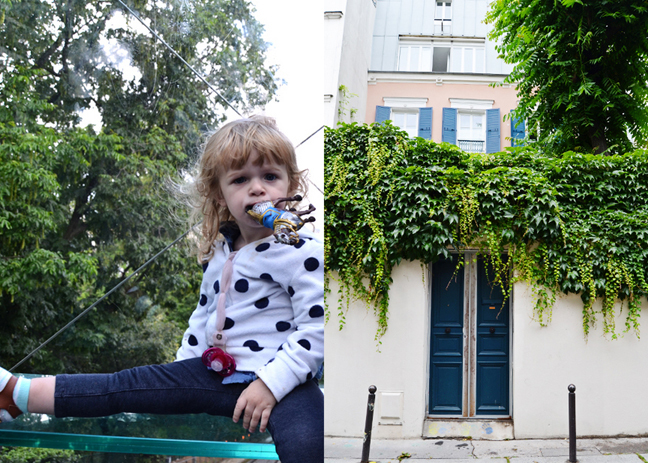 Our last full day in Paris was also packed with fun and many adventures! Our first destination: the Arc de Triomphe! Jane and Fox in front of the Arc de Triomphe on Sunday July 6th 2014. THE Champs-Elysées starts at the Arc de Triomphe. 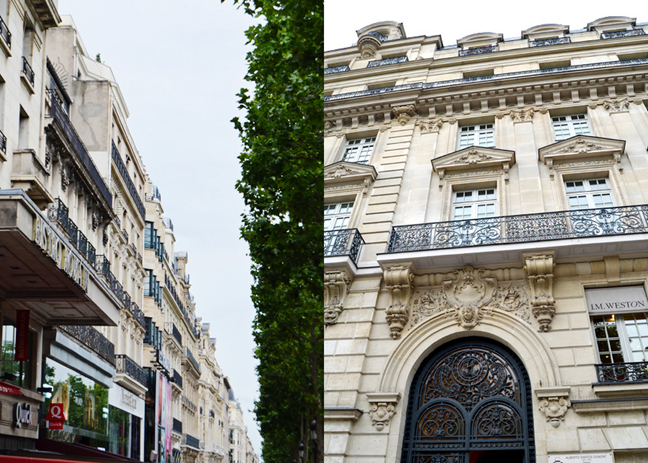 Every European city we go to has their own version of the Champs-Elysées: a fancy schmancy street lined with über expensive stores I wouldn't even dream of stepping into for fear of getting a speck of dirt on something. 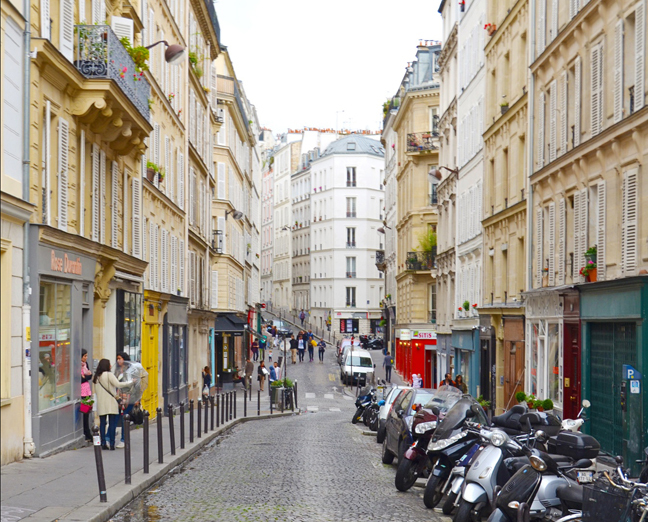 This famous boulevard is Paris' backbone. From the Arc de Triomphe down Avenue des Champs-Elysées, all of France seems to converge on Place de la Concorde, the city's largest square. In 1667 Louis XIV opened the first section of the street as a short extension of the Tuileries Garden. 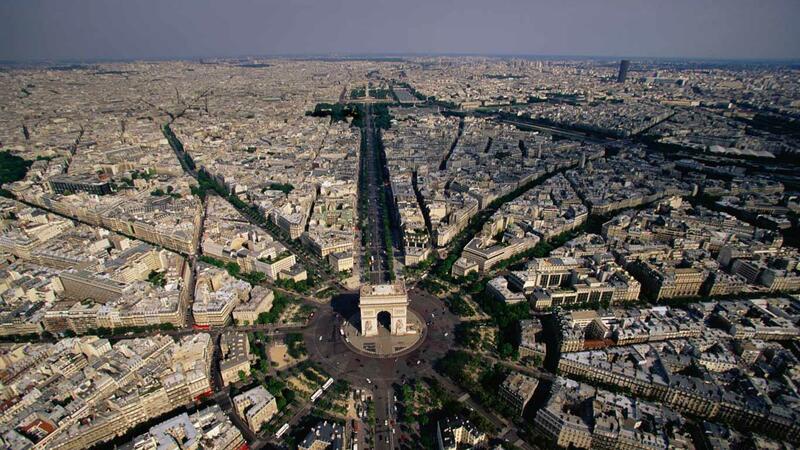 This year is considered the birth of Paris as a grand city. The Champs-Elysées soon became the place to cruise in your carriage. It still is today - traffic can be gridlocked even at midnight. One hundred years later the café scene arrived. 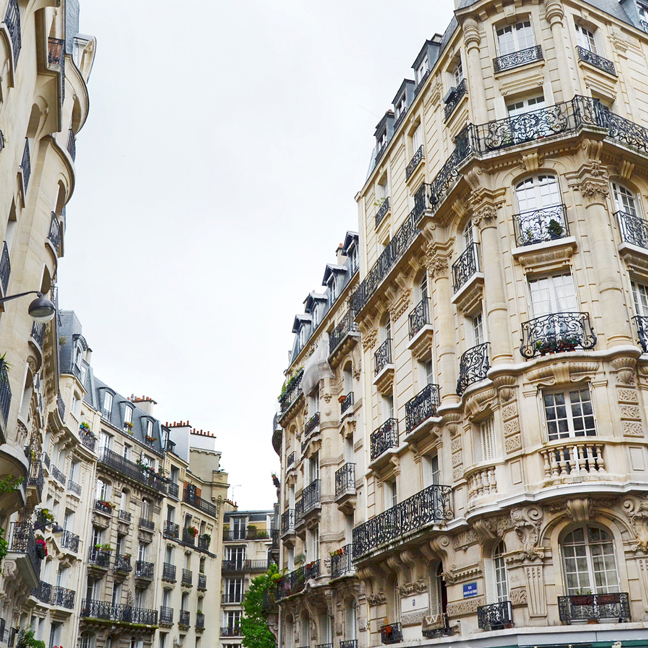 From the 1920s until the 1960s this boulevard was pure elegance; Parisians actually dressed up to come here. 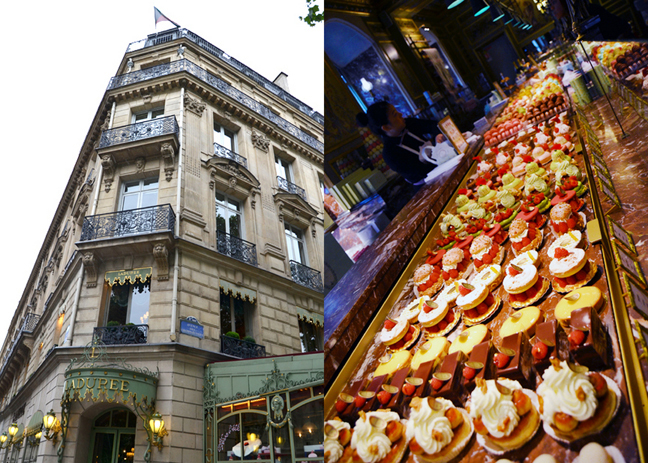 It was mainly residents, rich hotels, and cafés. Then in 1963 the government pumped up the neighborhood's commercial metabolism by bringing in the RER (commuter train). Suburbanites had easy access and pfft - there went the neighborhood. 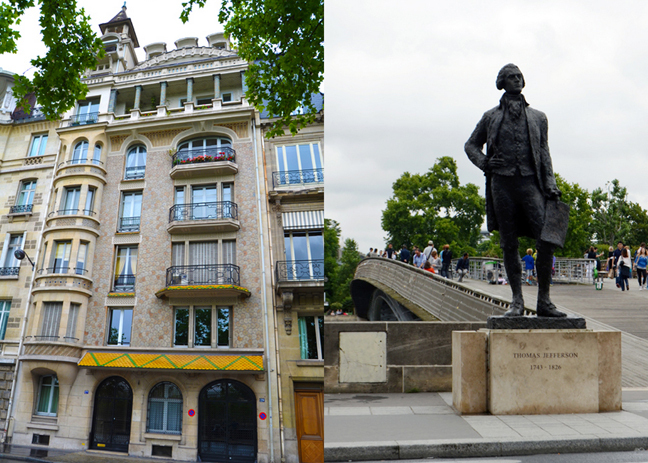 The nouveau Champs-Elysées, revitalized in 1994, has newer benches, broader sidewalks, all-underground parking, and a fleet of green-suited workers who drive motorized street cleaners. The fine structures lead all the way to the gardens of the Louvre, once the palace of the kings. We sauntered down in the rain, pausing every block or so to snap photos. In the 19th century this was an area for horse stables; today it's the district of garages, limo companies, and car dealerships. We crossed the street and caught a final glimpse of the Arc de Triomphe. Why did the Evans' cross the road? 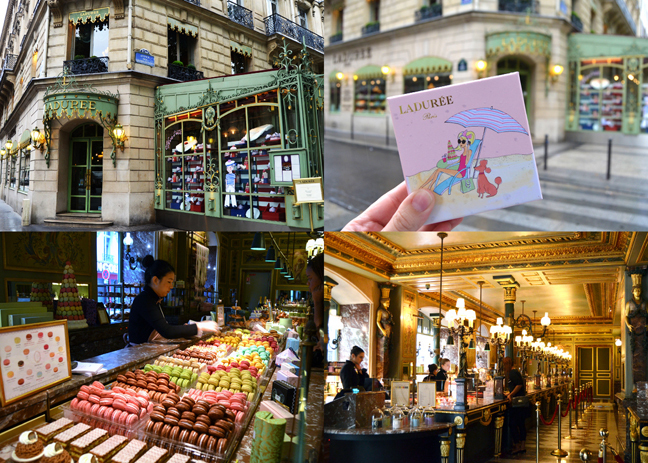 To get to Ladurée! The sign (all black because of the bad lighting) said Abercrombie & Fitch and it totally smelled like an A&F store! Headquarters? A store? I dunno, but it has a fancy entrance! It started raining something fierce so we hurried across the river. I would stop and take a picture and then catch up with Chris and the kids. A really neat-looking museum - someone help me out, what is it? Updated - thank you Sophie! It's the le Grand Palais. Boats lining the Seine. 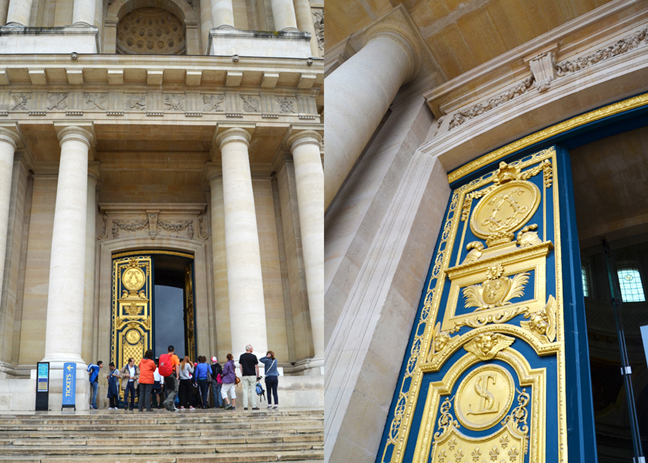 We passed the Assemblée Nationale - the lower house of the bicameral Parliament of France under the Fifth Republic. The upper house is the Senate. Our next stop was the Musée d'Orsay (mew-zay dor-say). It was the first Sunday of the month so it was free, it was raining so everyone wanted to be indoors, and it was the last day of a special Van Gogh exhibit, which means it was extra super duper crowded. But, we had our handy Paris Museum Passes so instead of waiting in the line that literally wrapped around several blocks, we went into the special and short Pass line. For the win! The Musée d'Orsay houses French art of the 1800s and early 1900s, picking up where the Louvre's art collection leaves off. For us that means Impressionism, the art of sun-dappled fields, bright colors, and crowded Parisian cafés. 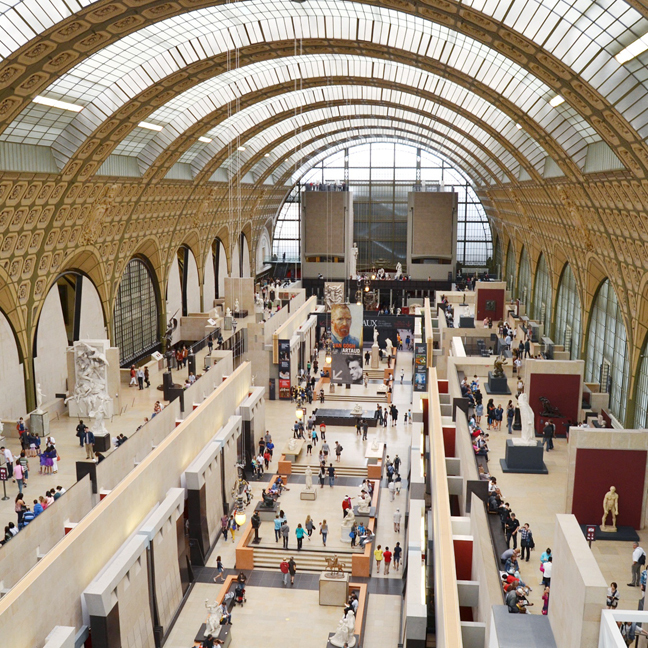 The Musée d'Orsay has the best general collection anywhere of Manet, Monet, Renoir, Degas, Van Gogh, Cézanne, and Gauguin - thereby making this my favorite museum in the world. Once again our stroller came to the rescue when we were in the super long queue for the Van Gogh exhibit and we were brought up to the front. Picture taking of the art was not allowed, but it was allowed when I was here in 2005 so these are pics I took of them back then, but we saw them this time too. 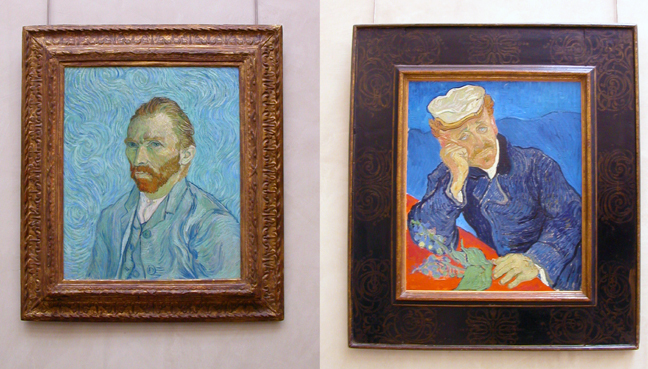 Brought tears to my eyes again to see these beautiful Van Goghs that I see in pictures and books and online. There is something about seeing a painting in the flesh that is so... Spiritual? Humbling? Special? Take your pick. The interior of the Musée d'Orsay. A much more manageable size than the Louvre! After a couple of hours looking at art and eating a bite in the small café inside, we headed back out into the rain. Neat texture on this building. | Statue of Thomas Jefferson. The Pont de la Concorde with fancy golden statues. | Yet another cool building that I can't remember what it is... Our next stop was the Army Museum and Napoleon's Tomb. 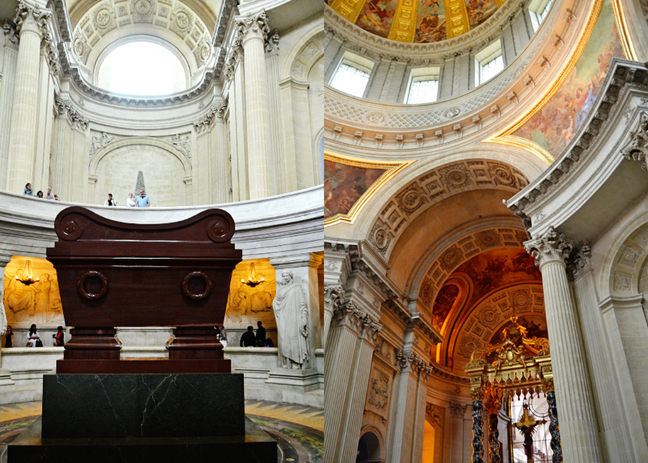 I'd never been here before and was excited to see it because we've been to so many of the cities that Napoleon overtook and I wanted to see where this guy was buried! 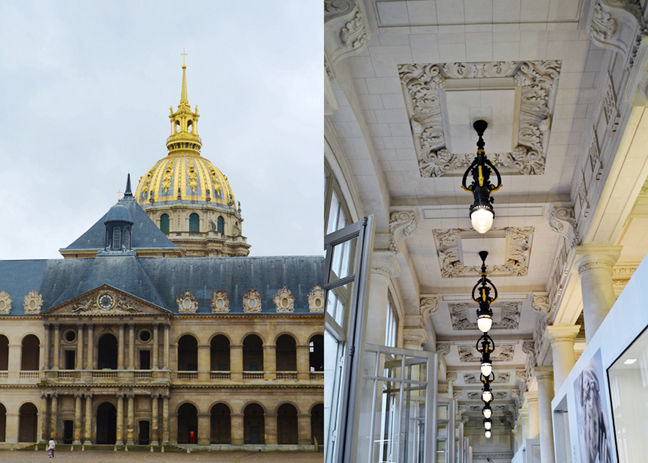 The Hôtel des Invalides, a former veterans' hospital topped by a golden dome, houses Napoleon's over-the-top-ornate tomb as well as Europe's greatest military museum. We stayed along the covered walkways because it was raaaaaiiiiining so hard! Through the museum and around back is the tomb. Walking up the stairs and passing through the royal blue and gold doors into the tomb. Inside is a huuuuuuge round pit. 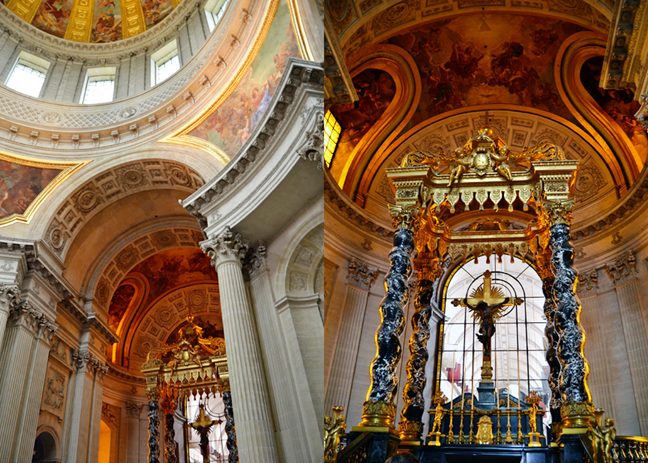 Above is the ornate and painted dome. 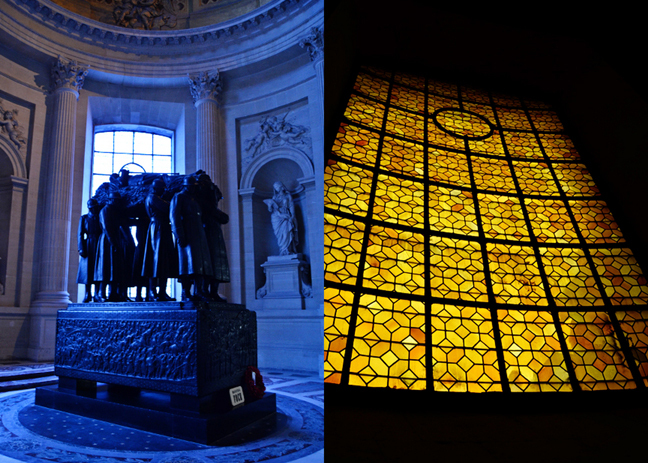 And down inside the pit, directly below the dome, is the biggest, most majestic tomb I've ever seen, with Napoleon Bonaparte inside. All of this for one guy? He must have been pretty gosh dern important. 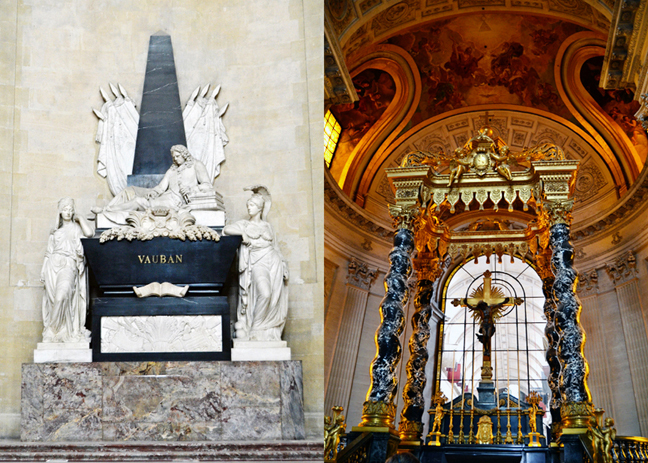 There's a chapel attached to the tomb. All the flags remind me of Bern and Zürich Switzerland. Then we went into one of the many attached museums and saw Napoleon's stuffed horse. I was expecting a huge and grand horse, but it's a pretty scrawny thing and not big at all! Maybe he was big, but they didn't fill him with enough stuffing? We ran to a metro station to get back to the apartment, drenched from the torrential downpour, and took a long afternoon nap. After dinner, the sun started to shine through the clouds so we decided to stroll through Montmartre and take the funicular up to the Sacré Cœur since it was only 20 minutes away. Paris is so photogenic! I was taking pictures left and right and couldn't narrow them down anymore. 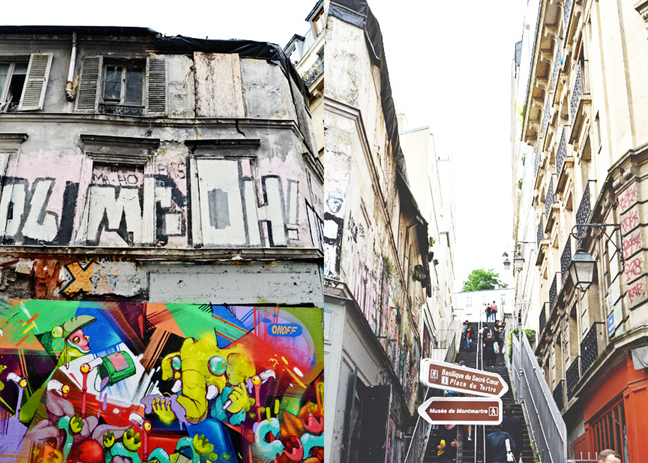 Montmartre is Paris' highest hilltop (420 feet). Many types of people have lived here through the ages - monks stomping grapes (1200s), farmers grinding grain in windmills (1600s), dust-coated gypsum miners (1700s), Parisian liberals (1800s), Modernist painters (1900s), and all the struggling artists, poets, dreamers, and drunkards who came here for cheap rent, untaxed booze, rustic landscapes, and cabaret nightlife. With vineyards, wheat fields, windmills, animals, and a village of tempo life, it was the perfect escape from grimy Paris. Love this wooden corner café. Overgrown plants making it like a jungle to walk inside this home! Paris in one word? Charming! As we got closer to the funicular, things got more... lively and stores more unique and colorful! This entire store was filled with colored balls that you add to a string of lights! A lightstrand store! That would so not stay in business anywhere else. We found the funicular and used two of our metro passes (babies are free) to get to the top. Janey waiting for the funicular and eating a horse to pass the time. | Another plant-covered house. We reached the top, walked a little bit, and gazed out at the beautiful view of Paris. 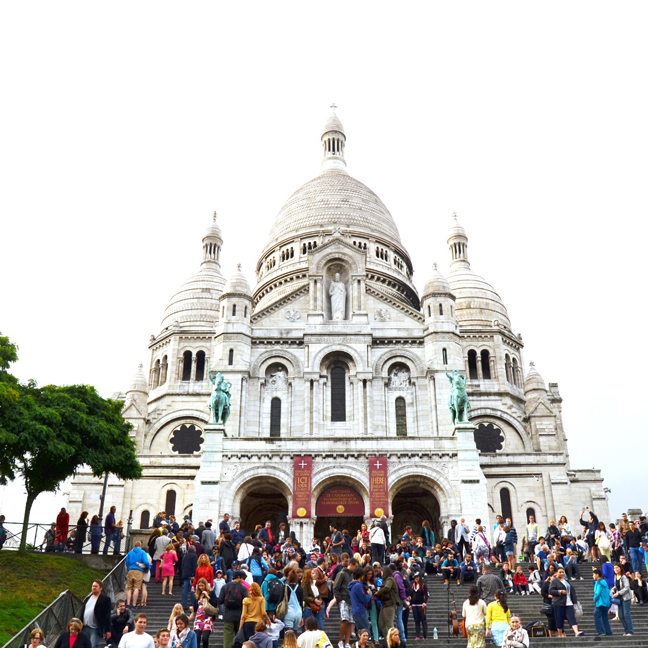 Then we turned 180 degrees and saw this: The Sacré Cœur (Sacred Heart) Basilica's exterior with its onion domes and bleached-bone pallor looks ancient, but was finished only a century ago by Parisians humiliated by German invaders. Otto von Bismarck's Prussian army laid siege to Paris for more than four months in 1870. Things got so bad for residents that urban hunting for dinner (to cook up dogs, cats, and rats) became an accepted behavior. 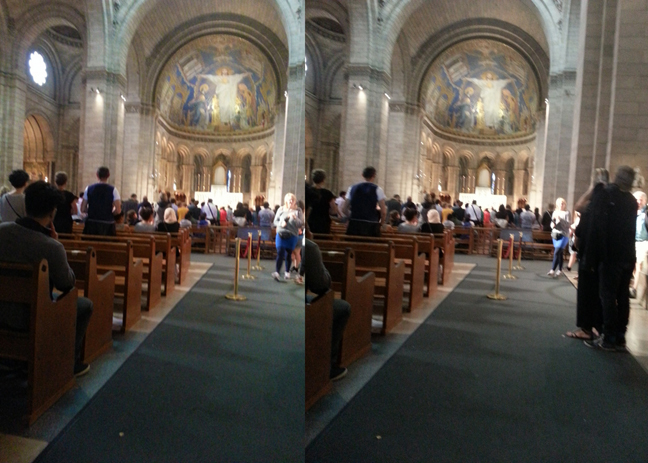 Convinved they were being punished for the country's liberal sins, France's Catholics raised money to build the church as a "praise the Lord anyway" gesture. 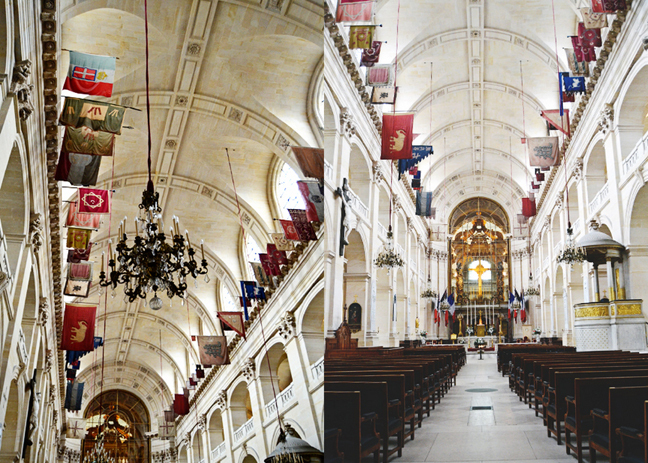 The five-domed, Roman-Byzantine-looking basilica took 44 years to build (1875-1919). It stands on a foundation of 83 pillars sunk 130 feet deep, necessary because the ground beneath was honeycombed with gypsum mines. The exterior is laced with gypsum which whitens with age. You can climb 300 steps to the top but we didn't. Fox and Jane found some friends of similar ages outside, visiting all the way from Australia. Evans family in front of the Sacré Cœur on Sunday July 6th 2014. The walk back to the apartment was just as pleasant and I still found more fun things to take pictures of like this yellow scooter and a red half-timbered home. 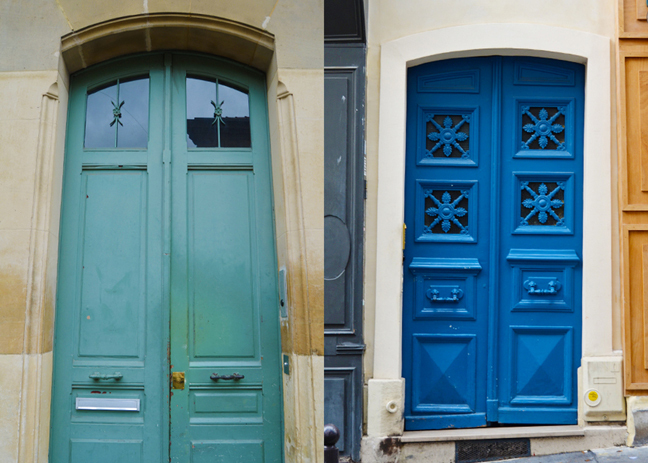 Aqua and blue doors. My favorite picture from Paris. There are SO MANY more things we could have seen such as the Orangerie Museum, Rodin Museum, Marmottan Museum, Cluny Museum, Pompidou Center, Panthéon, Opéra Garnier (with a lake in the basement that inspired the Phantom of the Opera), La Défense and La Grande Arche, Jewish Art and History Museum, Carnavalet Museum, Moulin Rouge, Deportation Memorial (closed during our visit), Ille St. Louis, gone inside the Conciergerie, walked through the Tuileries Garden, taken a boat on the Siene and seen the Eiffel Tower light up at night, St. Sulpice Church (featured in Dan Brown's The Da Vinci Code), Luxembourg Garden, Catacombs, Picasso Museum, taken a day trip to Giverny and seen Monet's garden and house, and so on. LOVING all the photos... what a beautiful city!!! 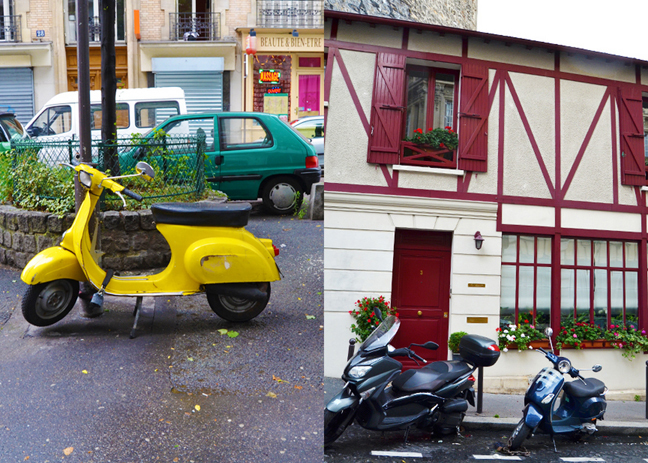 Paris is my favorite city of all time....see something new every time we go. See if Chris could be stationed here after Germany. Thank you for sharing all your gorgeous photos! Another awesome day in Paris! We sure are lucky! Love all of the photos you share, Paige! How awesome to see the Van Gogh exhibit! I would love to do that!! Hi, the name of the "neat looking museum" you are looking for, is : le grand palais. I did go to that very Sephora on Champs-Elysées in 2009! 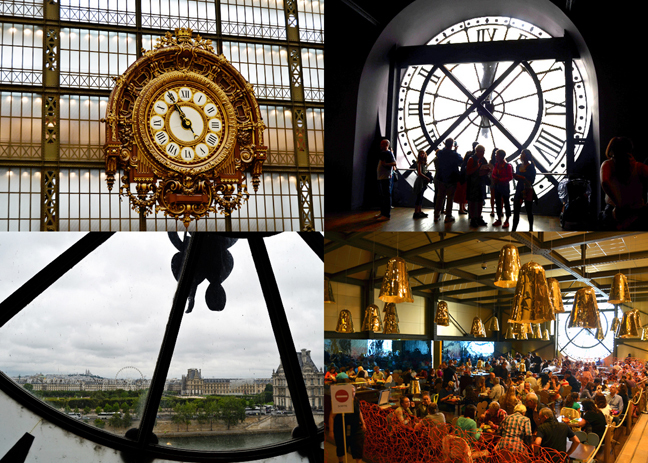 The Musée d'Orsay is just the BEST! I didn't get to see the Army Museum, but I love Orangerie Museum, especially if you love Monet!. 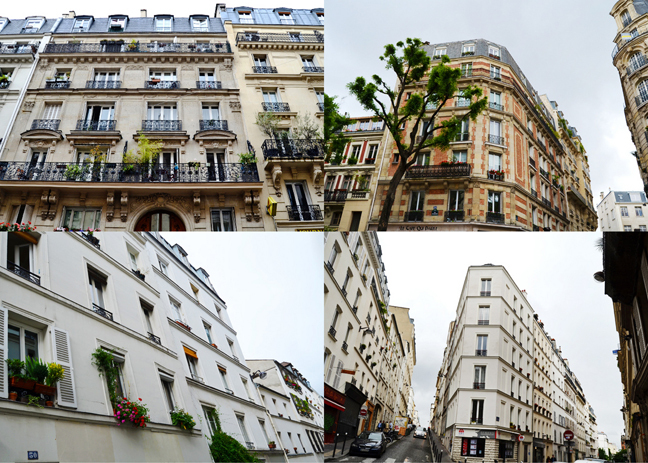 Paris is charming and photogenic, you are so right! Glad that you saw lots! WONDERFUL!! I don't think I realized you saw a van Gogh exhibit. Now I'm really jealous! 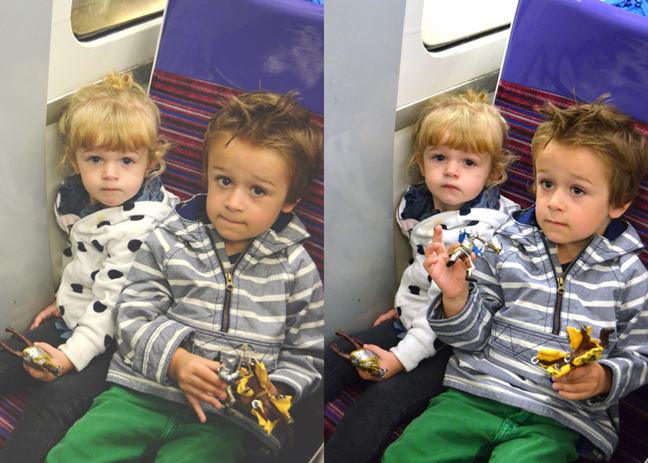 I love the pics of F and J on the subway.